Character can be defined as the collection of core values by an individual that leads to moral commitment and action. Character is "values in action." Character development should challenge Cub Scouts to experience core values in six general areas: God, world, country, community, family, and self. It's important not just to say the Oath, but to know what it means. Each part of the Law has a meaning. "TO HELP OTHER PEOPLE" and "TO OBEY." They look like a wolf’s ears ready to listen to Akela. 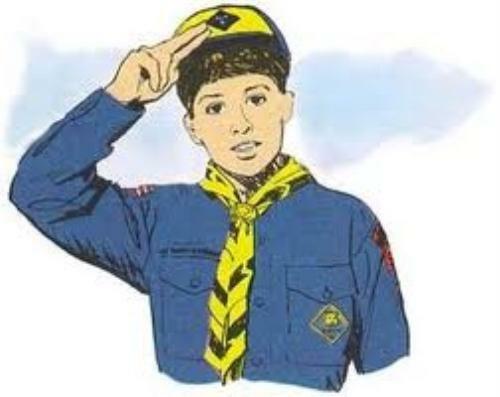 Give the Cub Scout sign when you say the "Cub Scout Promise" and the "Law of the Pack" or when Akela raises the sign to ask for silence. 1. Salute with your right hand. 2. 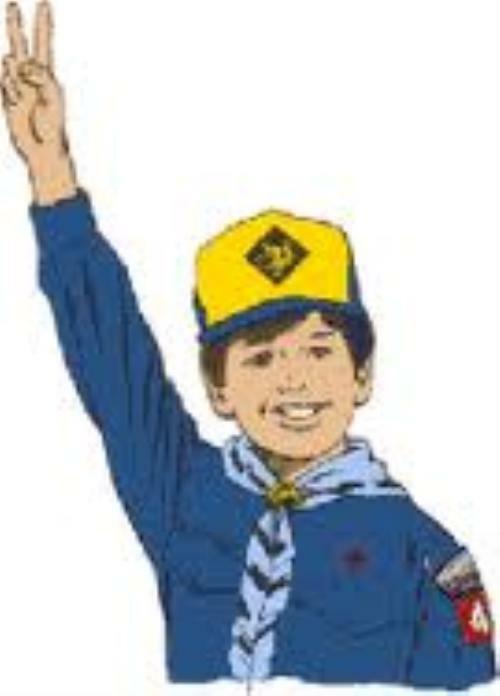 Hold your fingers as you do for the Cub Scout sign. 4. Touch the tips of those fingers to your cap. 5. If you are not wearing a cap, touch your eyebrow. A salute is a way to show respect to your leaders. It shows that you look up to them and respect them. We salute the flag to show respect to our country. 1. Hold out your right hand just asyou always do to shake hands. 2. Put your first two fingers along the inside of the other boy's wrist. 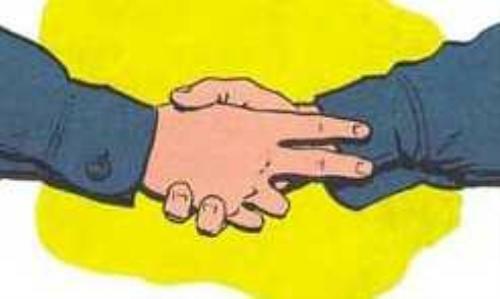 When you shake hands with another scout or scout leader.